'Professional' is a label that's helped sell its fair share of appliances and devices. The allure is no mystery: having professional tools inside your own home is definitely an appealing prospect. Since 'professional' implies that the item is used in working environments, customers naturally assume that the pro merchandise they're looking at is the best of the best in its industry and adheres to the highest of standards. Unfortunately, buying such an item tends to reveal that the buyer's faith was placed too eagerly. Supposed professional equipment sold in supermarkets and similar places very rarely differs from the standard models in the line: middling construction, low power and a tendency to malfunction. Don't get us wrong, home appliances are great – we just wish they weren't mislabeled as often. 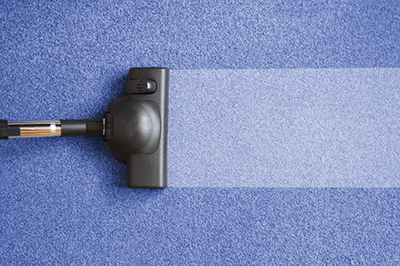 Carpet cleaning machines are frequent victims of this false labeling. Without warning, stores will sell these machines advertising them as "high-power" or "used by professionals" when, in reality, nothing could be further from the truth. We don't mind people buying these devices and using them, but when their effects are compared to something that a professional could achieve, we feel compelled to clarify. 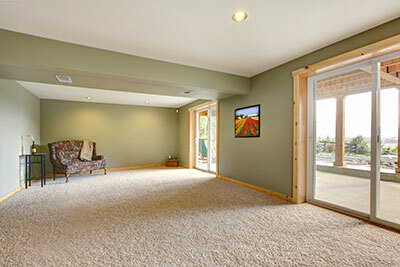 Do “do it yourself” carpet cleaning machines work as well as hiring a professional carpet cleaner? For starters, no commercial cleaning machine can come close to a real professional model because they lack power even when compared to something other than our ultra-powerful truck mounted machines. Despite what manufacturers might have you think, mass-producing a high-powered cleaning machine and selling it at a low price isn't something they're interested in. We say low price because even the cheapest professional cleaning machines tend to cost far more than commercial ones. But it's not just the machine itself to consider: there's also something to be said about the person behind the wheel. Even if you wielded a pro carpet cleaning machine, could you really make full use of it? To master the tools of their trade, our technicians have spent years performing every type of cleaning job imaginable. The astounding results they get are the byproduct of this and can't be replicated by picking up the same cleaning machine, which is why we urge home owners against investing in a cleaning machine as doing so would likely lead to disappointment. That's exactly how you should see the purchase of a cleaning machine: an investment that might not end up yielding any returns. No matter what the manufacturer claims, you have no way of knowing how effective the machine will be until you unpack it and plug it in. Also, you might end up not using the machine all that much due to a tight schedule, meaning your investment will do little more than gather dust while your carpets remain dirty. This is why we believe professional carpet cleaning by Corpus Christi Carpet Cleaning Pros beats every alternative handily: you'll get much cleaner carpets without having to lift a finger and for only a small fraction of the cleaning machine's price. Ask any one of our customers and they'll all tell you the same thing: no commercial cleaning machine will ever come close to doing the job of professionals.